07:00 Our tour to petra from eilat starts with a Pick up from your accommodation and transfer from Eilat to Arava Border- crossing with the help of our professional crew. 09:30 Transfer from the border to Petra in our newest model air-conditioned vehicles. Transport takes approximately 2-3 hours, passing through a vast and comfortable highway (the "desert way"), following through a scenic route on the mountain side, and arriving at Petra's historical site, known as one of the Seven Wonders Of The World. 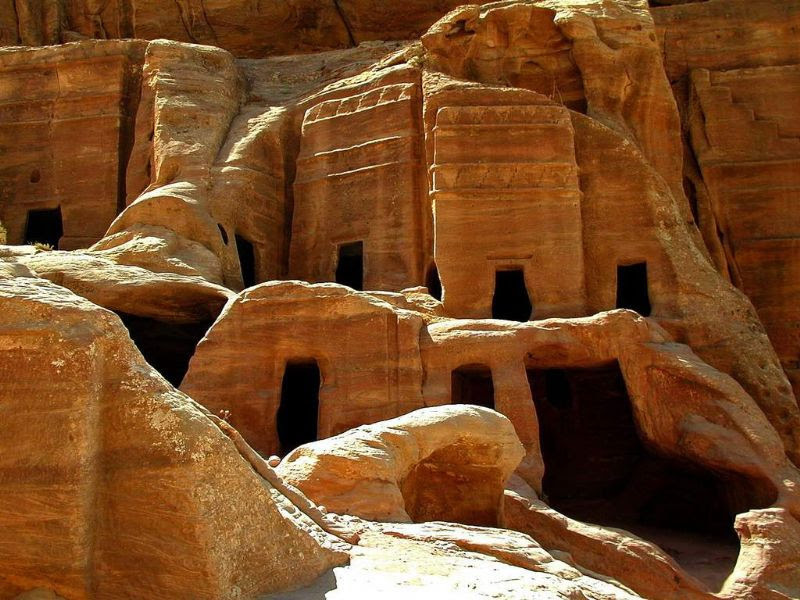 11:30 The tour of Petra begins at the entrance to the site – fully guided tour of the lost city of Petra including the Siq, Obelisk Tomb, Calligraphy, Treasury and the Theater. Optional in your package is a horseback riding for the first 200 meters of the route. The ride allows you to taste the unique atmosphere of the place (tipping the carrier is required, ranging from $2-$5 at your discretion). ⦁ Riding on donkeys, horses, and carriages in Petra (available for an additional payment). ⦁ All types of drinks. ⦁ Transfer from Eilat airport / hotels to Aravah border with our professional team. ⦁ Transportation in our newest model air-conditioned vehicles. ⦁ Jordanian English-speaking tour guide in Petra. ⦁ Lunch at a local authentic restaurant. ⦁ Short scenic tour of Aqaba. ⦁ Return coach from the border to destination of departure.